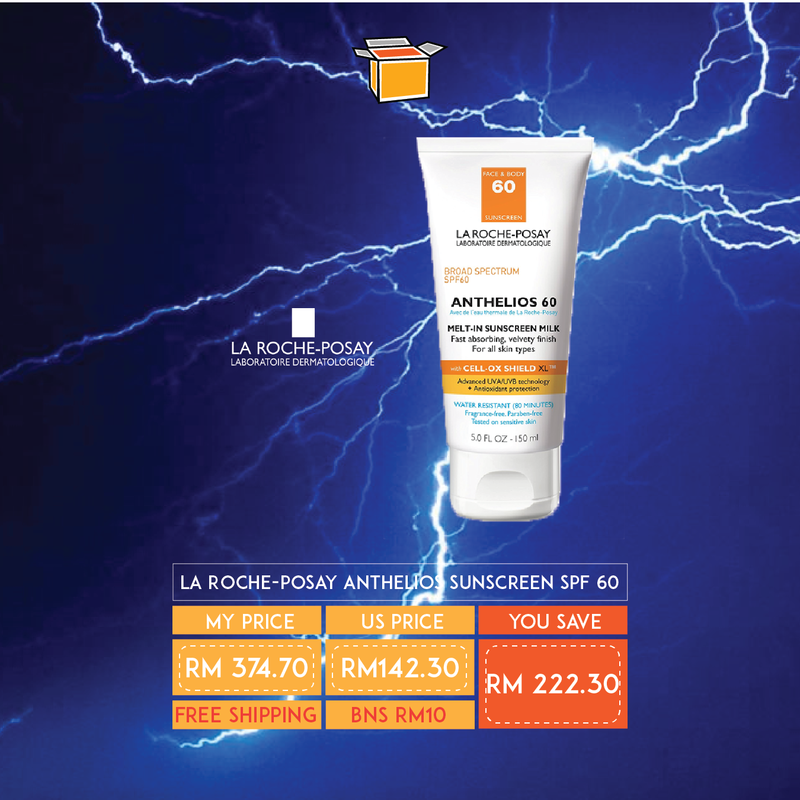 Lightning Deals : La Roche-Posay Anthelios 60 Body and Face Sunscreen SPF 60 Melt-In Sunscreen Milk with Antioxidants, 5 Fl. Oz. Voted the best overall sunscreen by the US Consumer Reports’ To Buy in 2018 list, this SPF60 will have you covered no matter which destination or festival you will be headed to this summer season. Get yours for cheaper than market rate through us – sign up to gain access to our US warehouse!